Passive house - what are they and are they a sustainable investment? 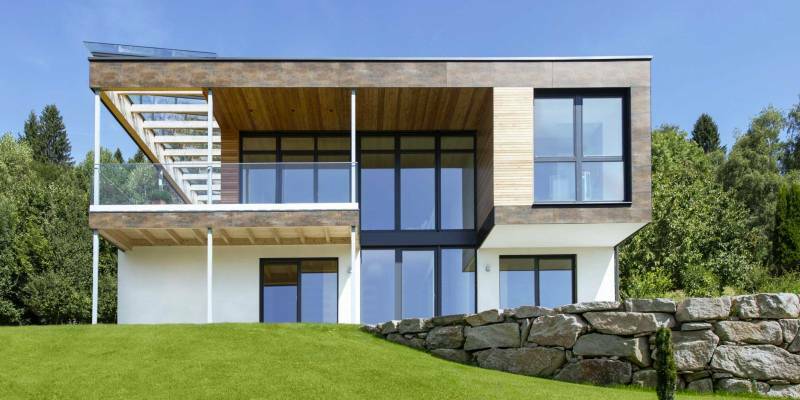 Is a passive house a sustainable investment? A passive house or PassivHaus provides consistent, comfortable temperatures throughout the year, keeping warm in winter, as well as cool in the summer without using conventional heating or air conditioning systems. Using the existing temperature provided through solar irradiation through the windows, as well as the heat from appliances and occupants is sufficient since the heating energy necessary for a passive house is only 10% of that needed for a conventional house. 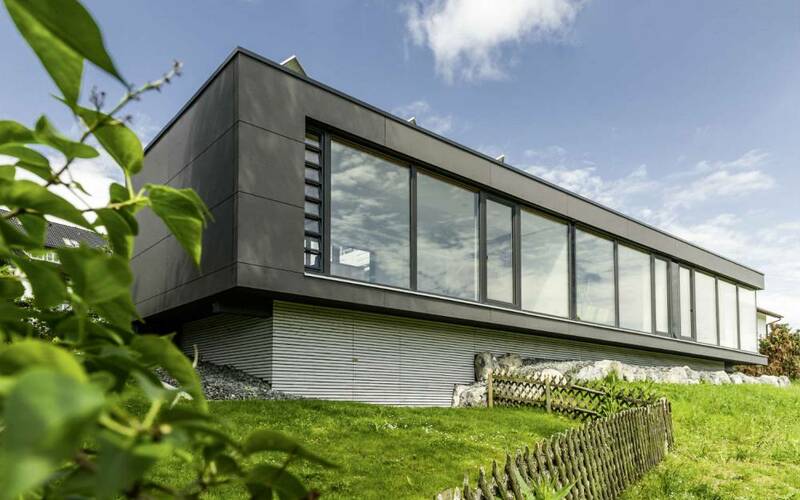 As the energy demands of a passive house are reduced by up to 90%, both the heating costs and CO2 emissions can be reduced drastically – compared to a conventionally constructed building. On average 4,000 kg of greenhouse relevant carbon monoxide emissions can be avoided each year. This equates to driving about 27,000 km with a 6 litre car. As a consequence, the construction of energy efficient passive houses supports climate protection sustainably and saves on limited resources, such as oil or gas. This results in an annual heating demand of no more than 15 kW/m2a. The overall energy demand, including warm water and household electricity, for a passive house is less than 120 kWh/ m2 a. The heating load of a passive house is no more than 10 %/ m2, for a room of 30 m2, this results in a heating load of approximately 300 watts – just to illustrate: the heating power of a tea candle is 30 watts already. This means that 10 tea candles are enough to heat 30 m2 in a passivhaus. These extraordinary savings are rooted in the two basic principles of avoiding thermal loss and optimising thermal gain. Due to the very good insulation in a PassivHaus, the heat stays inside the building and all surrounding surfaces are equally warm. This results in no radiation asymmetry (heat radiation) originating from exterior walls in a passive house and draughts are avoided. During warmer periods, heat stays outside to avoid overheating. This means that in a passive house a consistent, pleasant indoor climate is retained throughout the whole year – this provides a high degree of comfort for the occupants. Passive houses also make use of highly sufficient air conditioning systems to prevent mould growth, dust and any resulting allergies. Excellent thermal insulation clearly is the focal point in passive house construction. The enormous energy savings of up to 90% not only please the occupants, but also represent an active and essential contribution to climate protection due to the reduced CO2 emission. 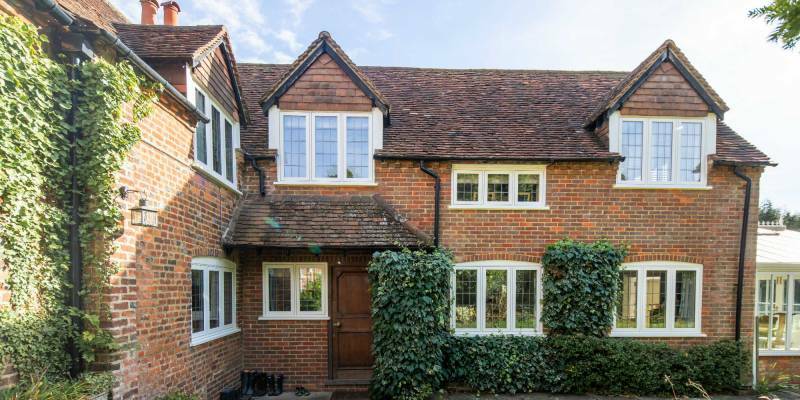 Nevertheless, a highly insulating window should still fulfil all the basic functions of a modern window construction: It is important to be able to offer all window sizes and opening types, but also bespoke special constructions such as round or angular elements. Further functions, such as burglary protection, shading, insect protection and visual design options cannot be neglected when it comes to highly thermally insulating window systems. 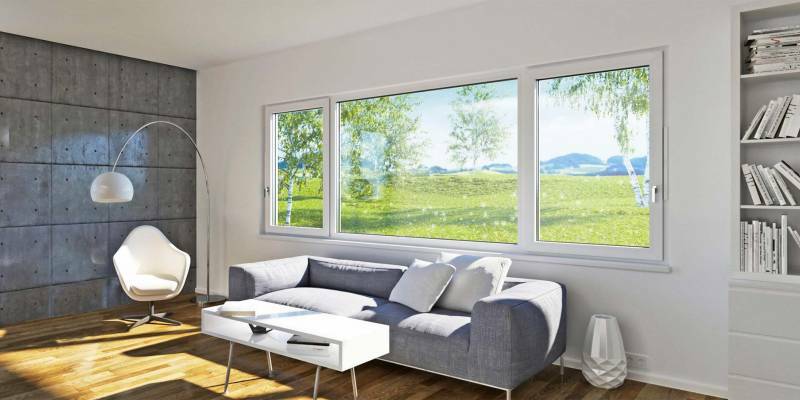 The window in a passive house plays a dominant role in two ways – firstly the heat loss can be reduced despite large glass surfaces and secondly windows increase the possibility of gaining heat through solar irradiation. 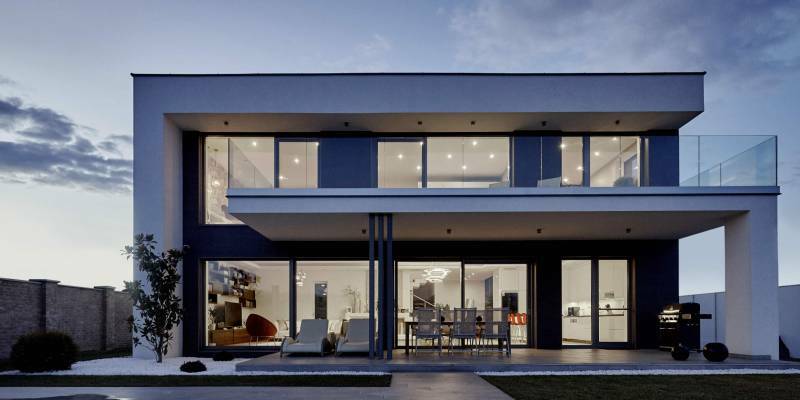 Internorm’s highly innovative windows fulfil this contradiction faultlessly with triple heat protection glazing, as used for passive houses, achieves Ug values of up to 0.5 W/m2K. The glazing used has two infrared reflecting coatings and is filled with argon or krypton. As a result the surface temperature of the window pane is close to the air temperature in the room and radiators under the windows become redundant. In comparison Ug values of conventional windows often are around 2 W/m2K. The total solar energy transmittance (g value) of triple-glazed Internorm windows is around 50% depending on the coating and the gas filling. By using these window systems in south-facing houses with little shade the heat gain is greater than the heat loss, even between December and February. There are however, more things that need to be considered. 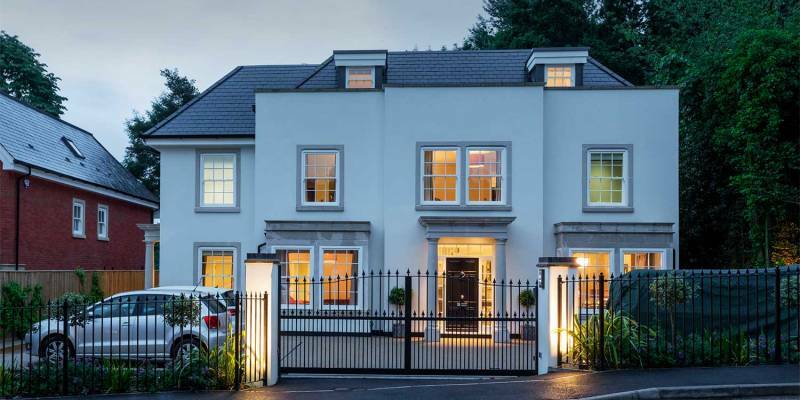 As well as the glazing, the insulation of the window frames, the thermal bridges of the glass edge and the connecting area of the window to wall need to be considered; otherwise any positive heat gain would be cancelled out immediately. Average window frames have U values of between 1.4 and 2.2 W/m2K – this means the loss would be twice as high as if super glazing was used for the same surface. In comparison, the frame of an Internorm window with fixed glazing can reaches an incredible U value of just 0.63 W/m2K. 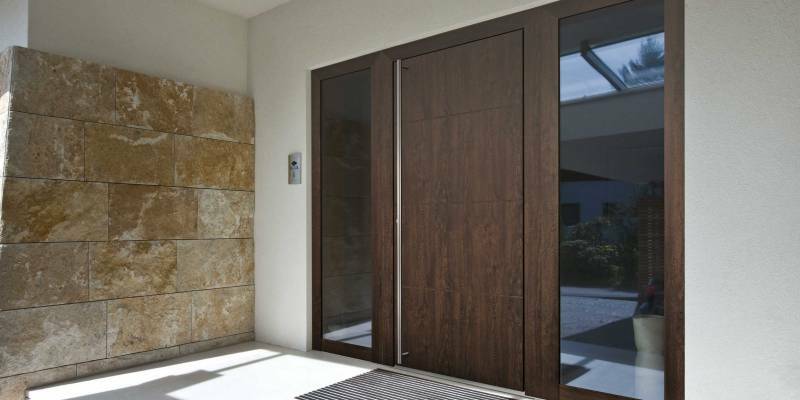 Internorm’s multi-patented system technology of UPVC and UPVC/aluminium windows, timber/aluminium windows and doors is designed to transfer the heat-composite system of structural components/insulation/weather-resistant optical exterior design, which has proven successful for decades, to windows. The unique advantages of thermal foam and aluminium can be used to their best: CFC-free thermal foam for highly thermally environmentally friendly insulation and aluminium for unlimited, weather-resistant design options. 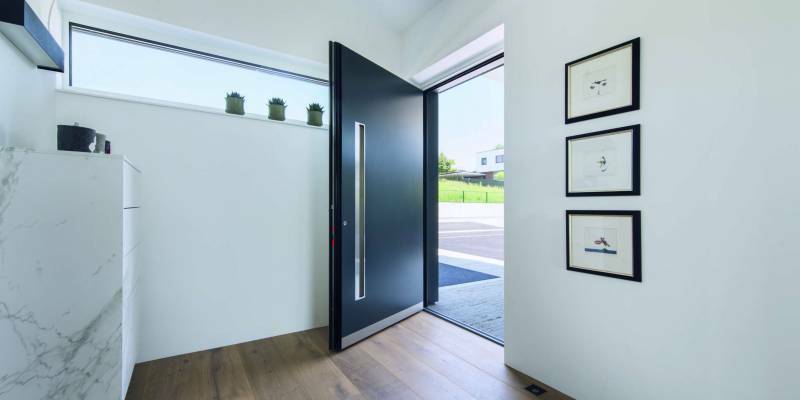 Internorm is the only window manufacturer in Europe with nine passive house certified components and also became the European market leader in the low energy and passive house segment with this highly thermally insulating product range.